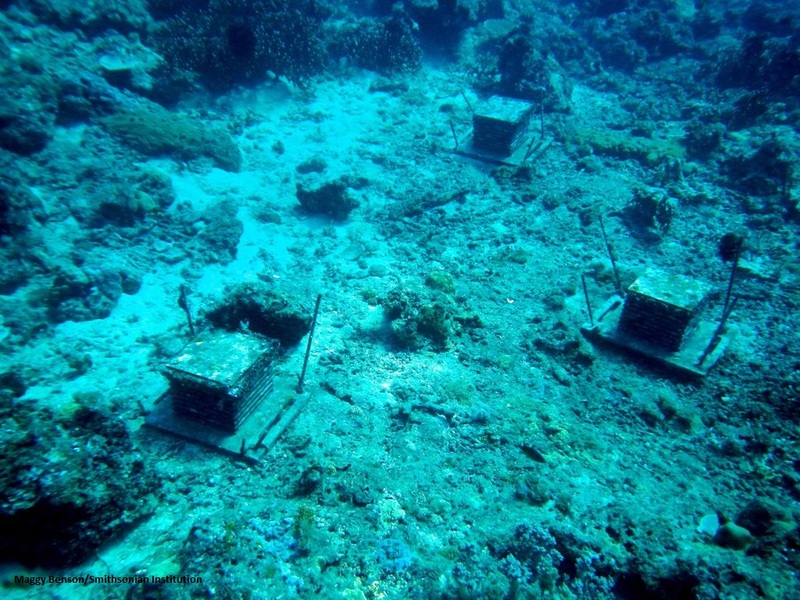 We adopted the Autonomous Reef Monitoring Structures (ARMS) Project in 2013-2014 after our yearly trip to the University of Florida. Dr. Gustav Paulay explained the details of the project and what it entailed. At that time he showed us an example of an ARMS Unit and outlined the type of organisms we could expect to gather using this device. Subsequently, he sent us detailed instruction for the building and retrieval of the units, in addition to a video of an existing retrieval operation. We were very interested in this, since our area is akin to a "marine desert", and there is very little variety in the sparse amount of macro-fauna we do manage to collect. Due to our lack of shallow reefs and unique sandy bottom, our team developed a sandy bottom flotation and installation system for the ARMS cubes. The ARMS model was completed in the spring of 2014, and installed in the fall of the same year. In the current design (as of fall 2017), the ARMS unit is anchored to the sea floor with two 3-foot helical anchors that are driven into the sand and covered with a cement block. The ARMS block is attached to the anchors with four galvanized steel cables, which are linked to shackles. These shackles are then attached to the four corners of the ARMS unit. In order to keep the unit buoyant, a bucket is attached to the four corners by rope, then filled up with air from the divers' regulator. The ARMS units are analyzed and installed annually in the fall. To find out more about the ARMS project, click here. ARMS installed and anchored on a reef prior to retrieval. 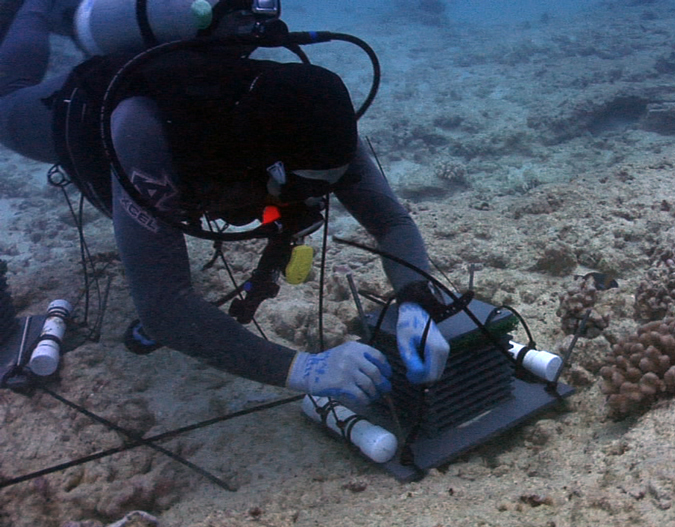 A NOAA diver installs an ARMS unit.